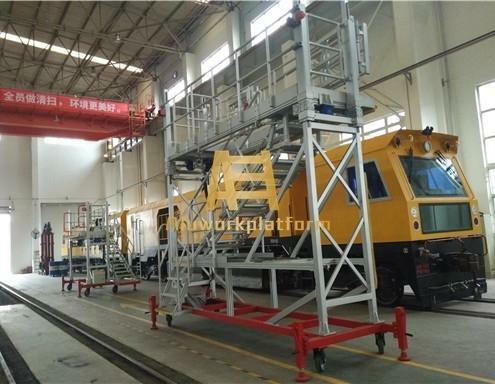 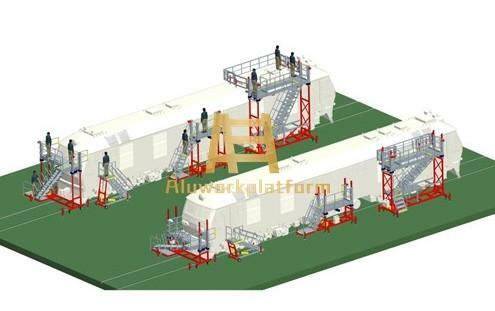 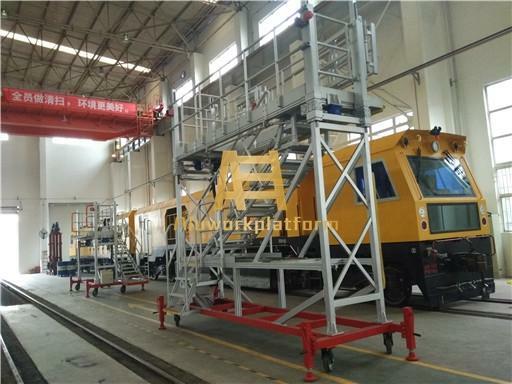 The rail vehicle maintenance platform including the head maintenance platform, the top maintenance platform,the side maintenance platform,and mobile access platform. 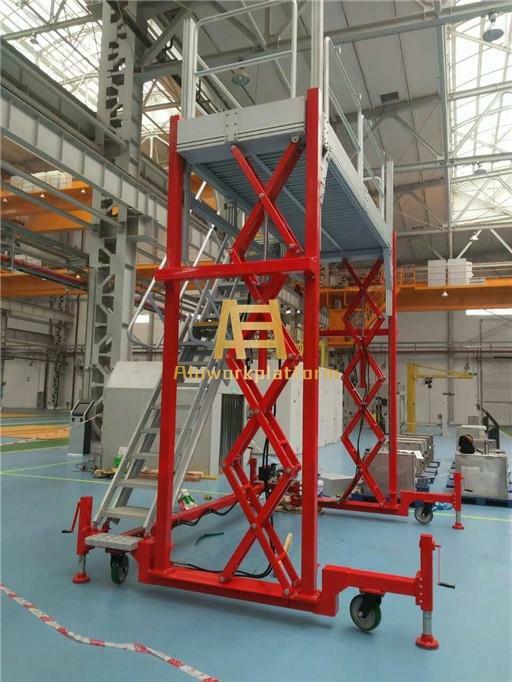 All the platforms are height-adjustable,the height adjustable control can be electricity or hydraulic pressure.There are extended guardrail when the top platform close to the train, which can protect the workers from falling off the train roof. 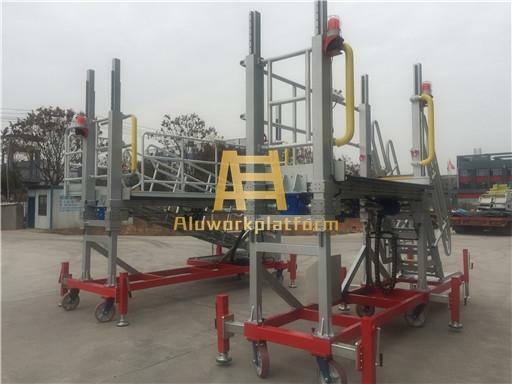 The main material is aluminium with light weight, it’s easy to move the platform to the appointed position even for one person. 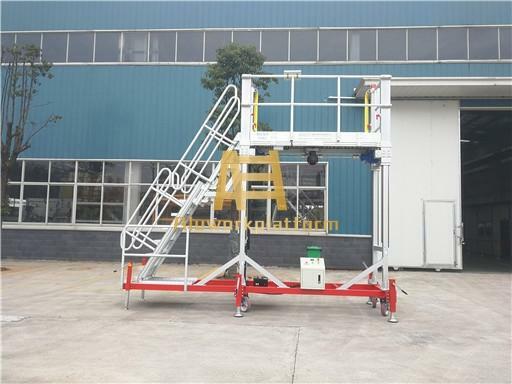 There is two control boxes of each height-adjustable platform, one is on the platform, and another one is under the platform, there is also a alarm system, the alarm will work when the platform is going up or down, and the alarm will stop when the platform stop lifting. 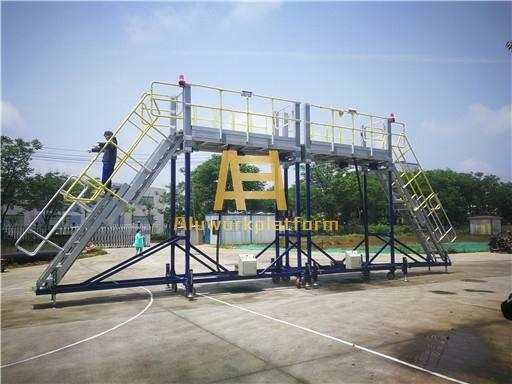 The platfrom can be braked and fixed to the ground. 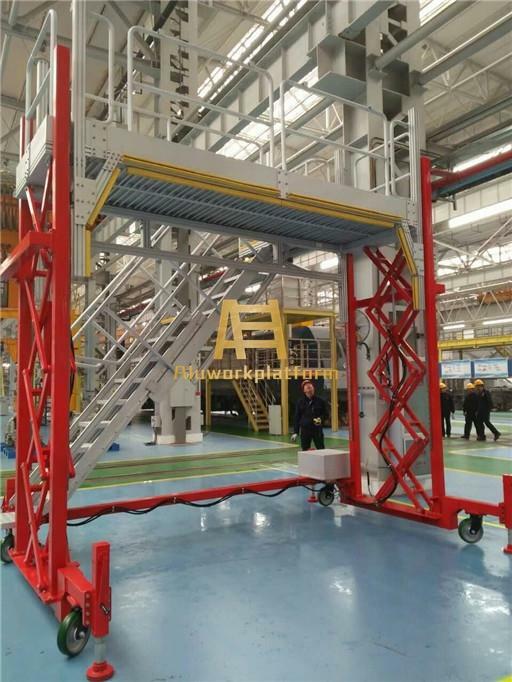 The 3D design, stress analysis and safety analysis will be done before manufacturing. 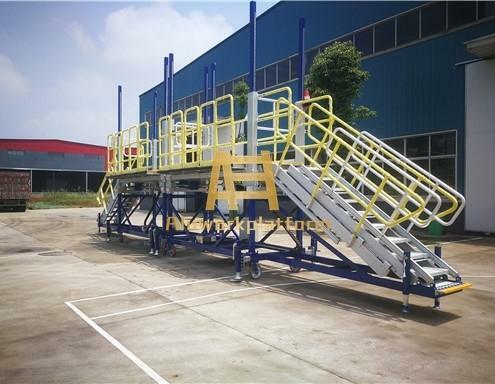 Finish: mill finish, painting, oxidation, or other required treatment. 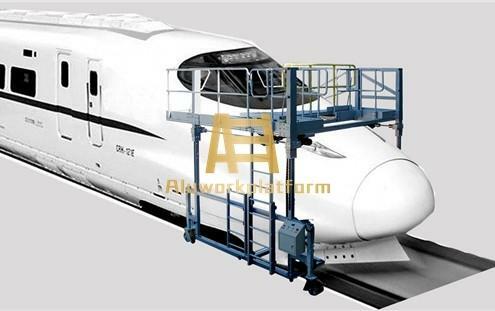 Design standard: ISO 14122, EN1034 or other required standards.